Since 1979, Jones & Boyce has appeared in a vast variety of venues, and is well remembered as the energetic song-and-dance team of the New England New Vaudeville Revue. Like the old-time troupers they pattern themselves after, Brian and Susan have built a classic showbiz act. From singing Auld Lang Syne with The Persuasions on live television at midnight for Portland Maine’s first First-Night celebration, to sharing the stage with Ethel Merman when the Providence Performing Arts Center was re-christened on its fiftieth anniversary in Rhode Island, the team have shared show business experiences galore. 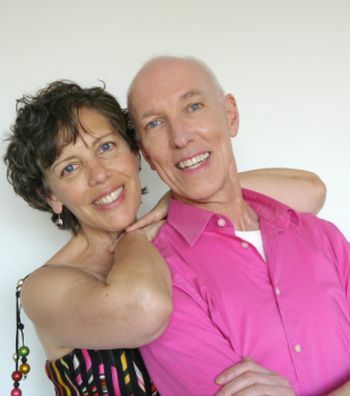 Tap dance skills brought the pair together after college, but they grew to love ballroom and vintage dance, and are proud to be the official dance team of the New Leviathan Oriental Fox-Trot Orchestra. Brian and Susan have always harmonized, and recently sang at the opening of the Boswell Sisters Collection in New Orleans. In period costume, they dance at ragtime reviews, trad-jazz concerts, dance festivals, ballrooms and in legitimate theater. Jones & Boyce surprise and delight in song and dance!